Garnets are not just restricted to reds and pinks although the most popular garnet used in jewellery is rhodolite which is red. 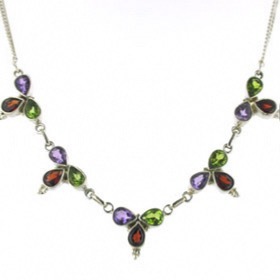 Garnets come in all colours except blue. 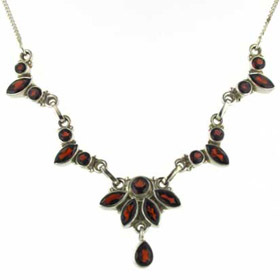 All our garnet silver necklaces feature rhodolite garnets. 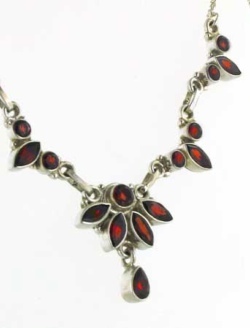 See also our garnet earrings, garnet pendants, garnet rings and garnet bracelets to make up a garnet jewellery set. 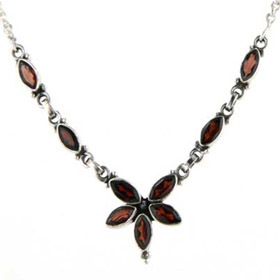 Free delivery anywhere in the UK on your garnet silver necklace.